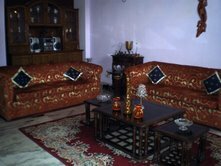 You are sure to find LISAS INDIA HOMESTAY the perfect budget accommodation in Delhi for you. 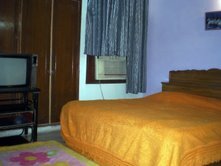 This budget hostel in Delhi offers fine facilities, excellent service and a luxurious ambiance . hot spots, shopping centres and restaurants. atmosphere, and hope you enjoy your stay with us. 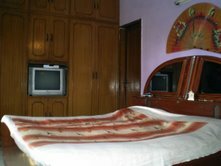 The hostel is ideally suited for travellers who are backpacking and staying in New Delhi . It is centrally located in posh South Delhi, which happens to be next to GK, NFC, Defence colony, Hauz khas village etc, where all major posh shopping centres, Delhi lifestyle mirages, pubs and discotheques are located (prime area of New Delhi). As a result it is easy for you to find whatever transport you need to take you around the city. We are close to many restaurants like McDonald’s, TGI Fridays, and hundreds of others where you can relish the Indian curry, although lunch and dinner can be provided at extra cost.